An active pattern is beginning to unfold across much of the Midwest starting this weekend. A system will emerge from the Rocky mountain late Friday into Saturday ans head east across the country this weekend. Two rounds of snow are expected, with the initial round kicked off thanks to a warm front and a tightening temperature gradient through the Plains into the Upper Midwest. Then as the area of low pressure develops another, stronger, batch of snow is expected to develop to the northwest of the track. This, all on the heals of the coldest air and potentially coldest departures from normal in over 18-21 months! 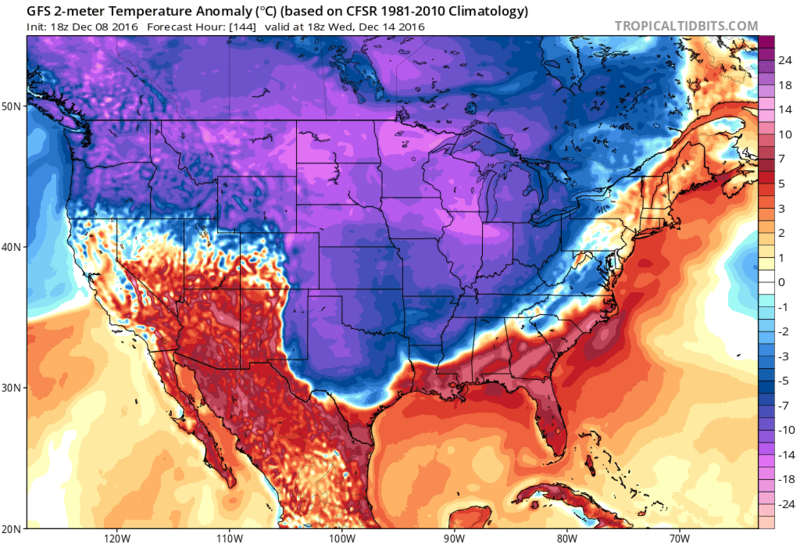 So below for how cold it could get relative to normal next week below. Over a 48 hours period, some hefty snow totals are possible. With the exact details still in question, exact snow totals are not responsible to forecast quite yet. 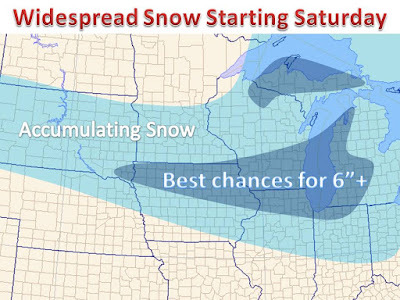 The map on the right shows the best chance for a swath of a half foot of snow. 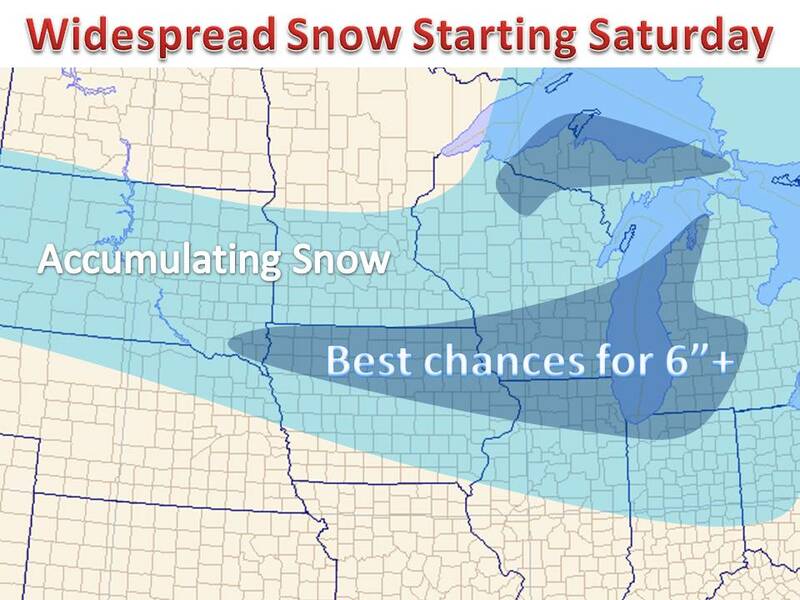 Those who get in on both round of snow will have the best chance for 6"-10", and this is outlined in darker blue. With the multiple rounds and various dynamics coming into play with this event, the forecast is challenging. Be sure to follow on Twitter and Facebook for more!